Carryings On Up The Dale: Following on from yesterday’s theme, today is Towarzysze Friday. Following on from yesterday’s theme, today is Towarzysze Friday. 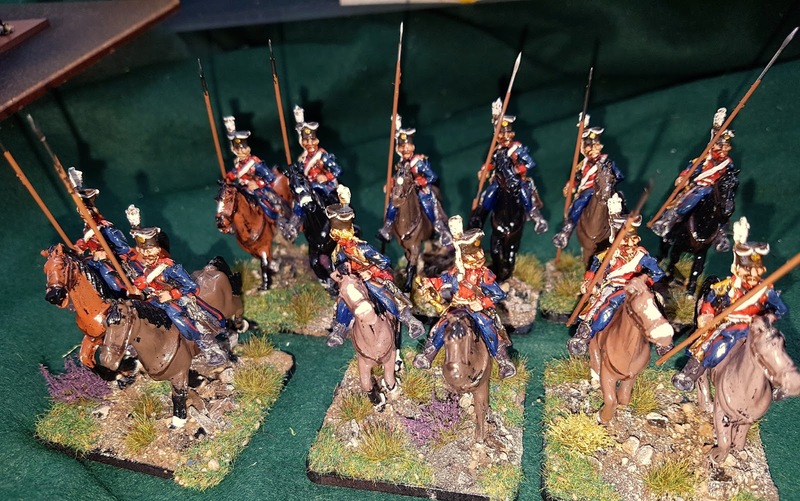 So here they are, the riders (Elite Miniatures)painted by my friend Barry of the Like a Stonewall Group, the horses and basing by me. The latter are from Elite Miniatures Collectors’ range but I have misplaced (lost) the separate reins so couldn’t make what may have been a half-hearted attempt to stick them on. Many of the reins on similar units have already fallen off due to even only moderate handling during games so maybe I have saved myself some time. I just need to do some lance pennons; I have some in the flag drawer that'll do nicely.